Flips are fun for taking old recipes for spins with a twist as the base recipe of a flip – base spirit, a little sugar and whole egg – is simple and forgiving. I’d recently purchased a bottle of St. George Spirits Firelit Coffee Liqueur, their artisanal take on the classic coffee liqueur which in their talented hands combines cold pressed single origin coffee, unaged Chardonnay brandy and cane sugar. Kahlua this is not. I wanted to make a coffee flavored flip with it, so decided to see if there were any existing recipes for coffee flips that I could use as a starting. 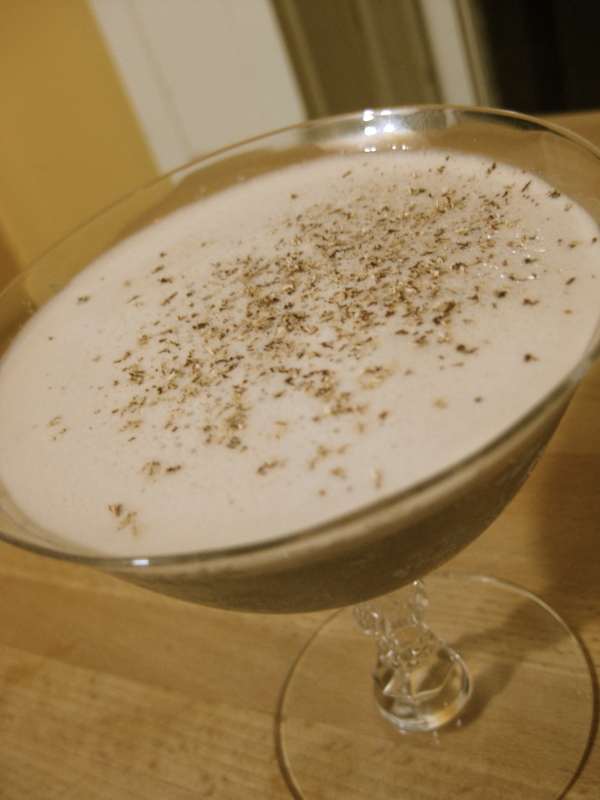 What I found was a classic flip recipe for a cocktail that didn’t involve any coffee or coffee liqueur, but instead involved port and brandy, which when adding the egg, gave it the appearance of creamed coffee with the faintest suggestion of a coffee-like flavor. Using this as the base, I figured I could swap the Firelit for the brandy and an aged demerara rum for the port. 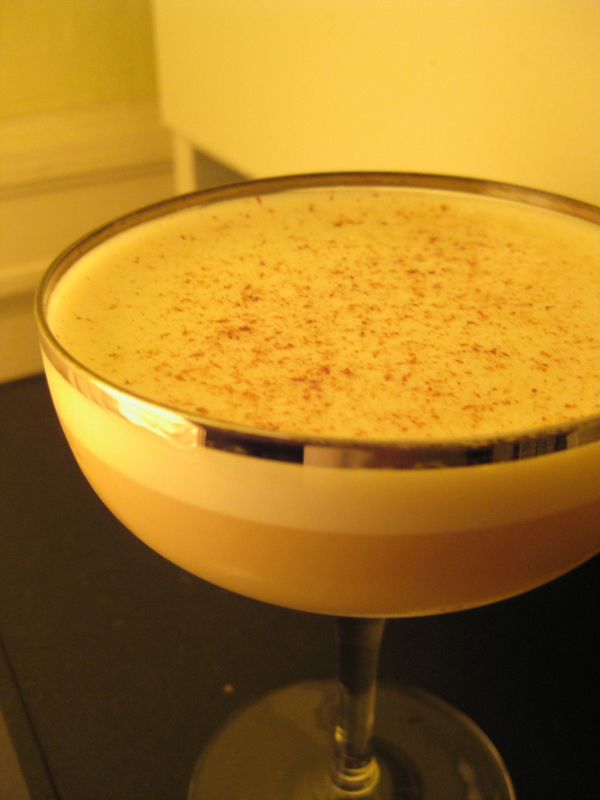 Swap the nutmeg for cinnamon and a dash of mole bitters, and the end result was a coffee flip with a Californios spin. In both cases I left out the cream as I was worried they would veer to far in the dessert cocktail direction. Based on the final product, the cream might be a nice addition, especially as the Firelit has such a strong flavor profile. Combine and shake once dry, once with ice. Strain into coupe. Garnish with freshly grated nutmeg. Combine and shake once dry, once with ice. Strain into coupe. Garnish with freshly grated cinnamon.